In 1621, Plymouth Massachusetts colonists and Wampanoag natives collaborated in an autumn harvest that nowadays is recognized as one of the first Thanksgiving Day celebrations in the New World. It was only in 1863 in the midst of the Civil War that Abraham Lincoln proclaimed a national Thanksgiving Day to be celebrated each November. No, Donald Trump, it isn’t fake news: the origin of Canadian Thanksgiving predates this. For in 1578, explorer Martin Frobisher held a Thanksgiving feast that consisted of salt beef and mushy peas. This took place in Newfoundland during Frobisher’s quest to find the Northwest Passage. In Canada, Thanksgiving was declared a national holiday in 1879 and this year it fell on October 8. Winslow’s account mentions wild fowl but there is no explicit mention of turkey; the bird in question just as likely may have been duck or goose. 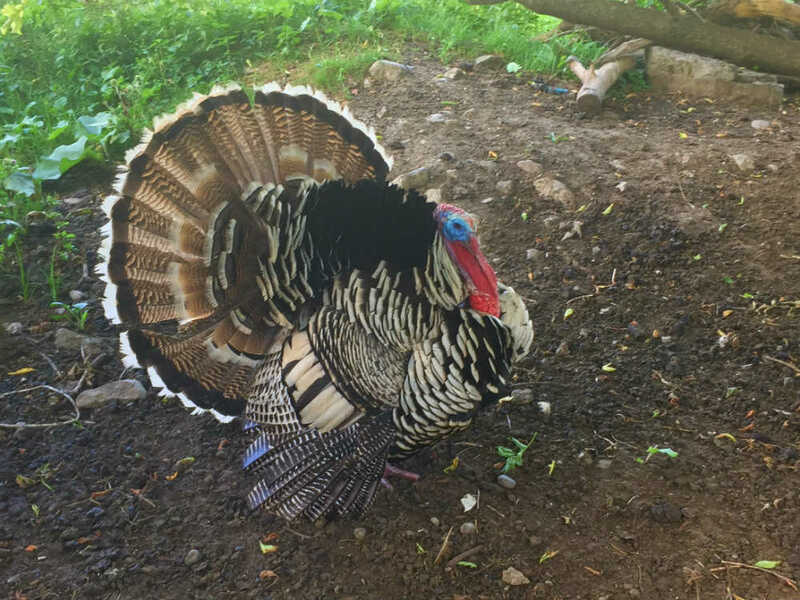 But as Governor Bradford had mentioned in his writings that the colonists hunted wild turkeys in 1621, it gained traction as the Thanksgiving meal of choice when Lincoln entrenched the holiday in 1863. While the English language made Turkey a stand-in for Asia, other languages have regarded India as the quintessence of the continent. For example, observe the French dinde (of India) and the Hebrew hodu (India). The words for “turkey” in Russia and Poland are indyushka and inyczka respectively (from India); Italians sometimes refer to the bird as pollo d’India and, most interestingly, the name of the bird in Turkey itself is hindi (the language of India). Catalan and Basque also name the bird after India and some languages are even more specific and name it after the Indian city of Calicut such as Danish, kalkun, Dutch and Afrikaans, kalkoen, and Finnish kalkkuna. In Portugal, the designation of peru for “turkey” makes sense, since the country is closer to the Central American origin of the fowl. Speakers of Portuguese designated the Spanish Americas as Peru, and as the bird emanated from there, it was known in Portuguese as “peru.” Further confusion occurs as some dialects of Hindi, probably influenced by Portuguese, use the term peru pakshi (Peru bird) to refer to a turkey. If you prefer garnishing your Thanksgiving turkey with cranberry sauce, be aware that the original Thanksgiving revellers weren’t able to flavour the bird with cranberry sauce. While cranberries were probably available to the Pilgrims, they would not have been able to create cranberry sauce due to the lack of sugar. It would appear that cranberry sauce was only invented sometime in the 1660s as this is the first reference to it in a journal of a Brit travelling in Massachusetts. Also, cranberry sauce only enjoys its first OED citation in 1767. Be the first to comment on "The Word Nerd: Talking turkey with the Americans and all that garnish"